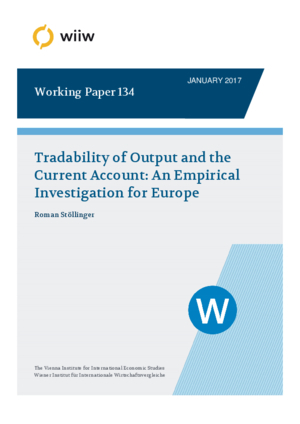 We put forward the hypothesis that increasing specialisation in the production of non-tradable output has a negative impact on the current account balance. This tradability hypothesis is directly derived from a two-sector inter-temporal current account model. To test it empirically we develop a value-added based tradability index which captures the tradability of a country’s output. Applied to a large sample of European countries, our empirical model provides strong evidence for a positive relationship between the current account balance and the tradability index. The main policy implication is that the anxieties about ‘de-industrialisation’ in large parts of Europe seem justified with a view to growing external imbalances.